A better understanding of how a key chemical messenger acts in the brain could lead to a radical shift in psychiatric care, according to a new research paper. Serotonin is a neurotransmitter which helps brain cells communicate with one another, playing important roles in stabilising mood and regulating stress. Despite its importance, current models to explain serotonin’s function in the brain remain incomplete. 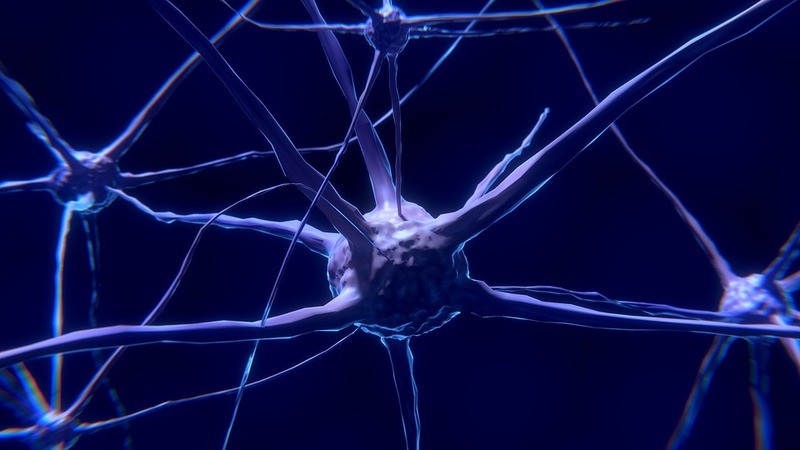 Now, in a review paper published this month in the Journal of Psychopharmacology, researchers from Imperial College London suggest that serotonin pathways are more nuanced than previously thought. They argue that the existing view should be updated to incorporate a ‘two-pronged’ model of how serotonin acts. The researchers believe their updated model could have implications for treating recalcitrant mental health conditions, including depression, obsessive compulsive disorder and addiction, and could exploit the therapeutic potential of psychedelic drugs. In the brain, serotonin acts via a number of sites called ‘receptors’ and serotonin has at least 14 of these. Brain drugs such antidepressants, antipsychotics and psychedelics are known to interact with serotonin receptors and two of these are thought to be particularly important – the so-called serotonin 1A and 2A receptors. For patients with depression, commonly prescribed drugs called SSRIs (Selective Serotonin Reuptake Inhibitors) can help to relieve symptoms by boosting levels of serotonin in the brain. Evidence suggests an important part of how they work is to increase activity at the serotonin 1A receptor, which reduces brain activity in important stress circuitry, thereby helping a person cope better. In contrast, psychedelic compounds such as LSD and psilocybin (the psychoactive component of magic mushrooms), are thought to act primarily on the serotonin 2A receptor. Accumulating evidence suggests that psychedelics with psychotherapy can be an effective treatment for certain mental illnesses and, with a focus on the 2A receptor, the authors’ paper attempts to explain why. Writing in the review paper, the researchers say that while the traditional view of developing psychiatric treatments has been focused on promoting 1A activity and often blocking the 2A, the therapeutic importance of activating the 2A pathway – the mechanism by which psychedelics have their effect – has been largely overlooked. According to the researchers, the 1A and 2A pathways form part of a two-pronged approach which may have evolved to help us adapt to adversity. By triggering the 1A pathway, serotonin can make situations less stressful, helping us to become more resilient. However, they argue that this approach may not always be enough, and that in extreme crises, the 2A pathway may kick in to rapidly open a window of plasticity in which fundamental changes in outlook and behaviour can occur. Growing evidence shows that in conditions such as treatment-resistant depression, obsessive compulsive disorder and addiction, certain brain circuitry may become ‘stamped in’ and resistant to change. The researchers suggest that in such cases, activating the 2A pathway – such as through psychedelics – could potentially offer a way to break the cycle, helping patients to change negative behaviours and thought patterns which have become entrenched. By enabling the brain to enter into a more adaptive or ‘plastic’ state and providing patients with a suitably enriched clinical environment when they receive a drug treatment, clinicians could create a window for therapy, effectively making patients more receptive to psychotherapy. According to the authors, their updated model of how serotonin acts in the brain could lead to a shift in psychiatric care, with the potential to move patients from enduring a condition using current pharmacological treatments, to actively addressing their condition by fundamentally modifying behaviours and thinking. ‘Serotonin and brain function: a tale of two receptors’ by Robin Carhart-Harris and David Nutt is published in the Journal of Psychopharmacology.